WELCOME to Embassy Villas! This well maintained, intimate twenty unit complex is IDEAL for a winter home, year around living or investment with liberal rental restrictions! RARELY available two blocks from Lido Beach and Lido Beach public pool. 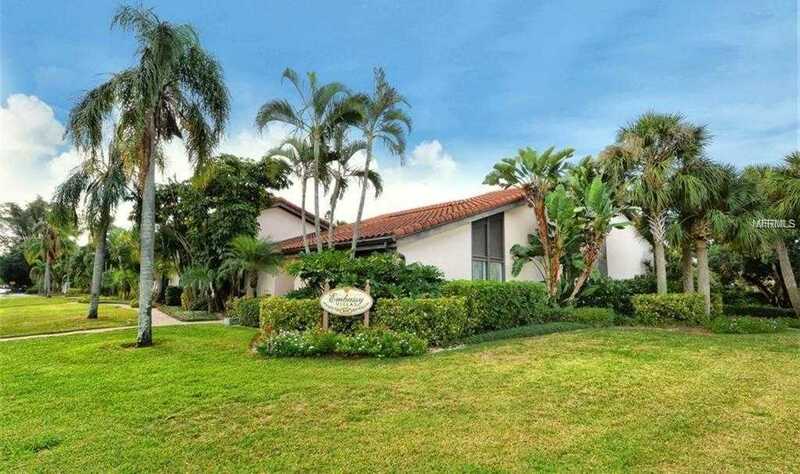 Best VALUE on Lido Key, PRIME location. Two story villa w/private patio entrance, Master is on the main floor with guest bedroom on the second floor and a full bath on both floors. Vaulted ceilings and large windows allow for an abundance of natural light. Seller replaced A/C in 2013, installed new carpet in bedrooms, repiped and remodeled bathroom in 2017. New carports were also installed in 2017. Lido Nature Park, kayaking and fishing steps away. Walking distance to St. Armands Circle featuring world class shopping and dining. Minutes to Downtown and all of the BEST Sarasota has to offer! This is a pet friendly community.